As a review does, I should tell you whether I enjoyed the film or not. The most honest answer I can give is, I don’t know, but like “mother!” with its plot, I hope to find out by the end of this review. 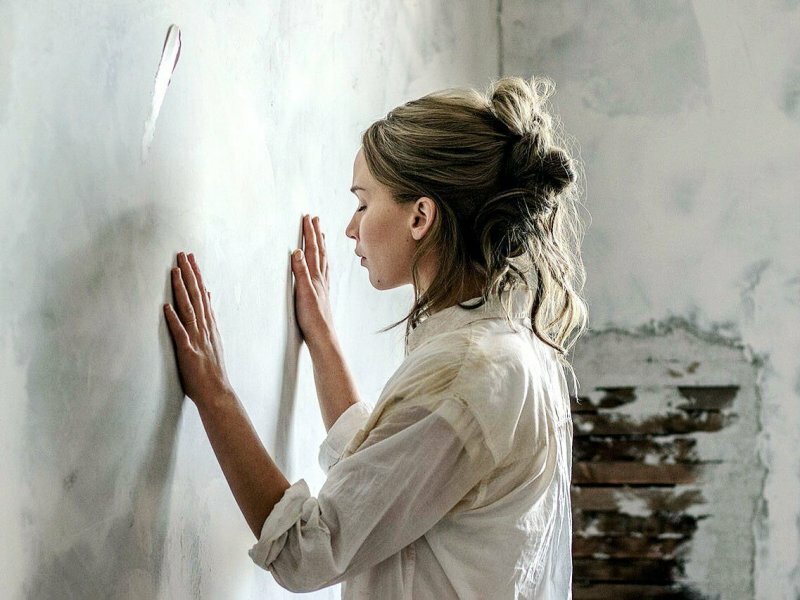 All you need to know about “mother!” is that it stars Jennifer Lawrence and Javier Bardem, who both remained nameless throughout the film, as a married couple that has numerous, mysterious guests coming to their home in the middle of nowhere. Explaining anything else about the film would hurt it. Starting off, “mother!” is amazing. For the first hour or so, I sat wondering what made this movie receive such mixed reviews. It was tense in places that traditionally would relax an audience; it had no genre, crossing over from horror, to thriller, to comedy, all in one scene. And the biggest thing, it had a mystery. Back to the tension I touched on, this was not on accident. The way this movie was constructed by Darren Aronofsky was something people are going to be marveling at for years to come. Following behind Lawrence’s character for most of the film, we never felt safe, mainly because she didn’t. The camera followed her as she went around corners and opened doors. We did not know what we were going to see, just as she didn’t know. This created the tension and the horror I felt throughout the whole film and kept me from ever feeling safe, even at the happiest of moments. The panning from left to right and the all-around sound and camera direction of the whole film made me feel like I was in the position of Lawrence. Without going into spoilers, when the revelation on what is happening and why it is happening becomes clear, obnoxiously in- your-face. Watching this movie, everyone is going to have the moment where it all comes together, remembering what they saw earlier and what they are seeing now. That moment is going to be met with a loud “UGH” and a very exaggerated eye role. The over the top explanation hurts this film and the whole explanation in general sort of made me check out of the film. I can’t get into the negatives of “mother!” without some sort of spoilers so warning on the next paragraph, SLIGHT SPOILERS AHEAD. I mean Christianity, really? This whole movie I was hoping for something big, but the whole point of the film was not-so subtle stories of the Bible. Taking a 21st century look on the bible is something that I don’t think ever needed to be made. So now that slight spoilers are out of the way, it is time I make a decision. I feel “mother!” is something that we should appreciate for how well it is done. Aronofsky made a great film that makes you happy, angry and sad. The highs are high, but the lows are very low. While I can’t tell if he was trying to mock a certain group of people with the film, I still think that “mother!” has enough to warrant a watch. Films like this aren’t made to hold your hand and make you feel happy, they are made to make you think and question, and in a world full of unoriginality, “mother!” took a chance at something unique and that is something everyone should support.